Flash diffusers are used in photography to soften the light that hits your subject. This helps to distribute the light more evenly in the photo, removing harsh shadows. 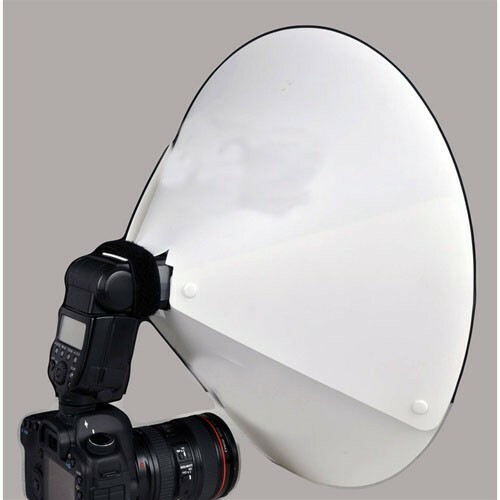 This cone acts as a diffuser, reflector and light diverter and is designed to fit most external camera flashes. The cone consists of two main elements -- a large white outer collar dish and an inverted silver cone mounted within. Light bounces from the flash to the cones silvered surface then to the white material giving your subject an even, flattering lift.